Working in the rainforest was one of the most unforgettable experiences I have ever had. Life in the jungle moves at such a harmonic pace. Traveling from place to place is normally at minimum a half day journey up river or a five hour treacherous and uncertain drive on dirt roads that have turned into small lakes. 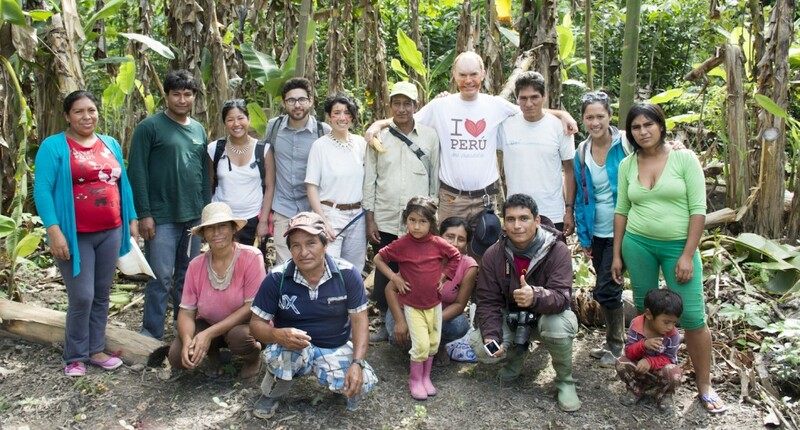 Bryan and I are grateful to have had the opportunity to work with ARCAmazon visiting seven ecological projects, two small villages on the Las Peidras river and over ten different chakra’s (forest gardens) in the Puerto Maldonado region of Peru. 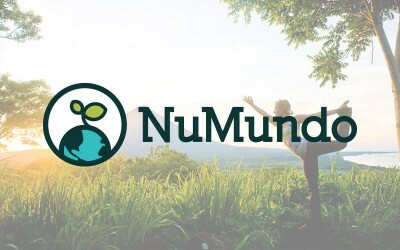 We interviewed and built relationships with each project leader to create a report of the permaculture practices and programs set-up to identify which systems can be implemented at a soon-to-be sustainability education and conservation impact center in the Amazon. Despite the focus on positive growth in the Amazon, It was impossible to escape facing the devastating effects of timber extraction, monoculture farming and gold-mining here. On our way to one of Caritas chakra’s we witnessed a few hectares of rainforest that were literally turned into a desert with pools of toxic-mercury filled water flooding other parts of the jungle. The miners had set up (what looked like) a temporary plastic city – houses, shops and even hostels all built with tarps right next to the destructed land. My feeling was that the miners will have mined all of the gold and destroyed all of the forest in that area then they would move on to the next spot. Most of us have an idea of the problems with cutting down trees, especially in the most biodiverse location on the planet but to see the damage and the timber trucks, one after the other was saddening. During my research, I learned that the mahogany tree’s which are some of the oldest trees in the jungle are almost completely wiped out. Amongst all of the destruction, there is much positive action to keep our hopes high. Here is a summary of all of the incredible sustainability projects in the Puerto Maldonado region that you can visit, stay and learn about medicinal plants of the jungle and how to grow food in tropical climates! During our visit to Camino Verde, we helped prune trees and process the branches to make essential oils out of them and received extensive tours of the entire property from Ursula, one of the tree experts and directors. 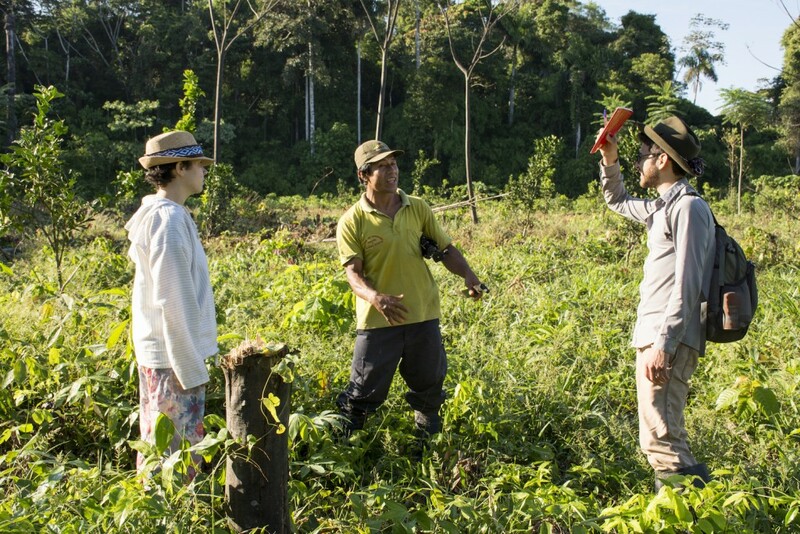 We were amazed at the area they have regenerated through agroforestry and the knowledge that Ursula possessed about all the medicines of the jungle. Camino Verde has planted over 10,000 trees, representing 250 species, as part of their Living Seed Bank to preserve plant species. 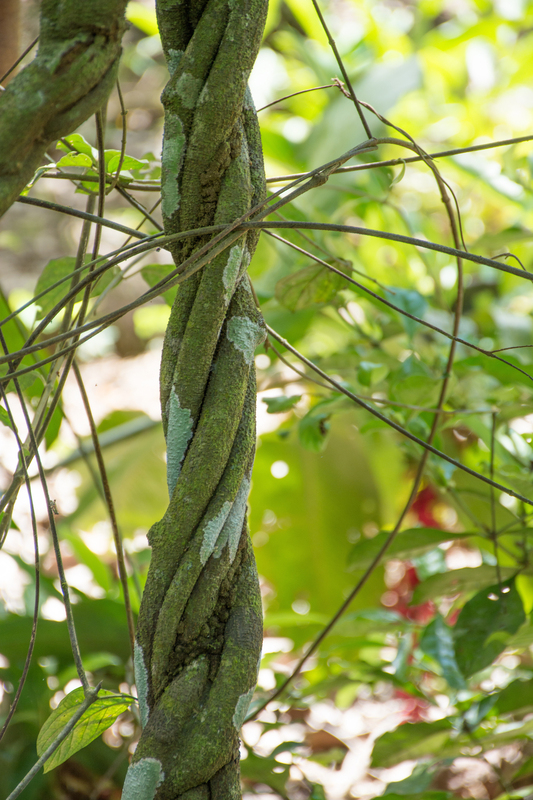 75 hectares of rainforest are under Camino Verde’s ownership including a 25 hectare ACP and an additional 640 hectares are protected through their conservation partnerships. They planted 4500 trees including endangered Mahogany trees with 20 partner farmers through their basic agroforestry project. We took a ride on Pedro and Ninon’s motor-bikes to EcoCentro and their Chakra (farm) where we learned all about their permaculture techniques and their organic Cupuacu production and creation of numerous Cupuacu products sold in Lima. EcoCentro is a permaculture and agroforestry demonstration center where people can learn how to apply regenerative farming techniques on their own land. 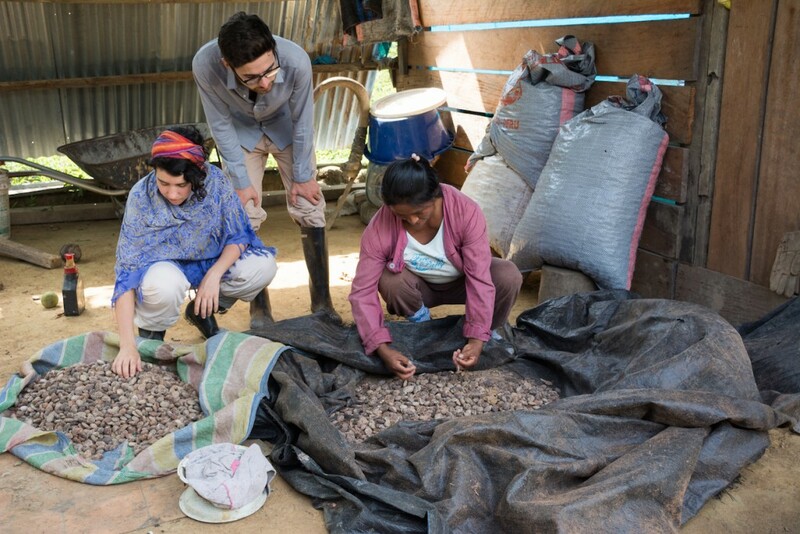 EcoCentro saves seeds that grow well in the region and exchanges them with farmers. No one originally wanted to buy the land that became EcoCentro and it had no large trees or water. Pedro Casanova purchased the land, regenerated it without any irrigation and started EcoCentro. There are currently two families living and working at EcoCenter. Pedro’s house yard at his house in Puerto has excellent examples of regenerative infrastructure systems, many of which he invented himself. Kapievi, just outside Puerto Maldonado and has been regenerated from the cattle prairie twelve years ago and turned into an ecovillage and yoga center. 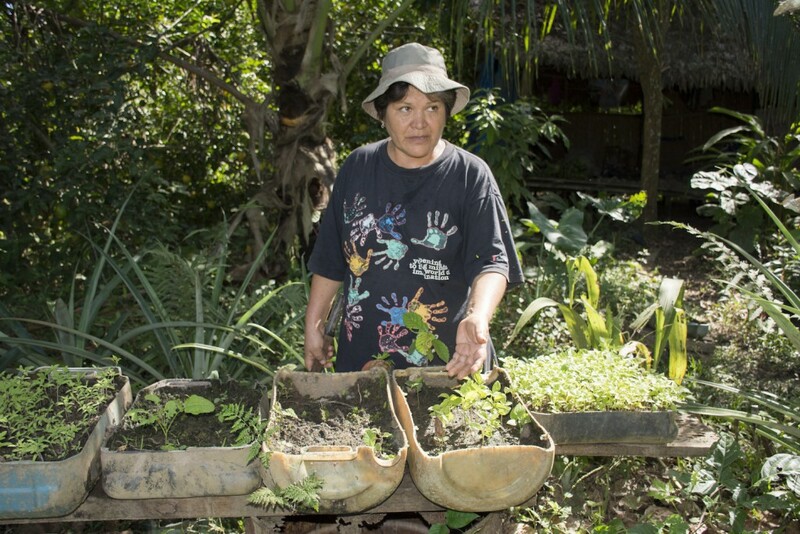 Kapievi works with families in the Bajo Tampopata region in protecting the environment and promoting ecotourism as an alternative economic model. Seven years ago, Kapievi acquired a 20 hectare property down the road called the Bosque Sagrada (Sacred Forest) and is stewarded as an ACP helping separate the Tambopata Reserve from sprawling Puerto Maldonado. A second ecovillage for residents and visitors will be built at Bosque Sagrada this year. 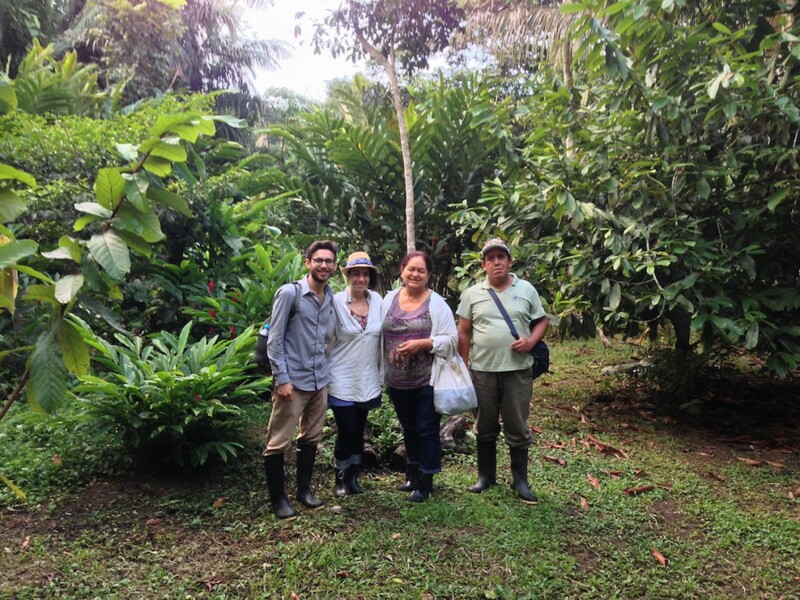 We were humbled to visit Kerenda Homet, a family owned ecological center just outside of Puerto Maldonado where over 19,000 trees of over 600 different species have been planted and regenerated from a degraded cow over 30 years. The project was started by Victor Zambrano and was the first private land to be converted into a permanent conservation easement called an Area de Conservacion Privada (ACP). Victor walked us around teaching showing all of the potent medicinal plants he is growing on his land and followed by his pet pigeon and baby pig. 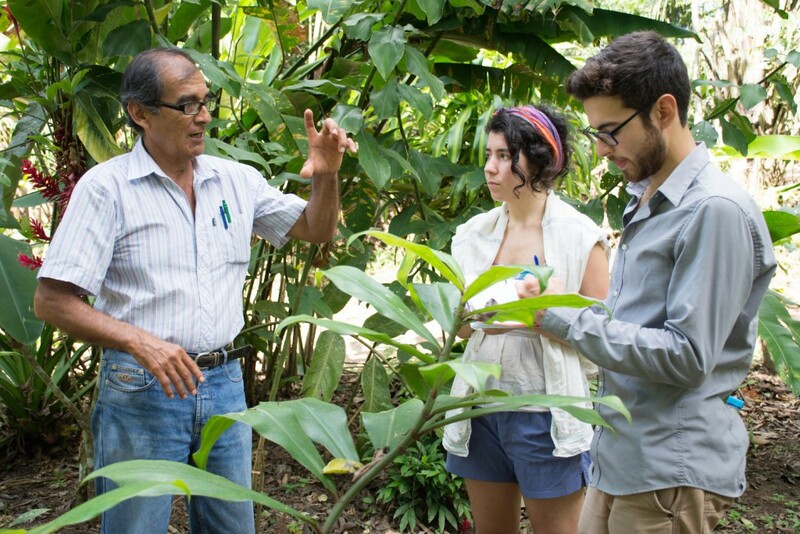 His knowledge on medicinal plants of the jungle is rare and deeply important to the preservation of medicinal botany. 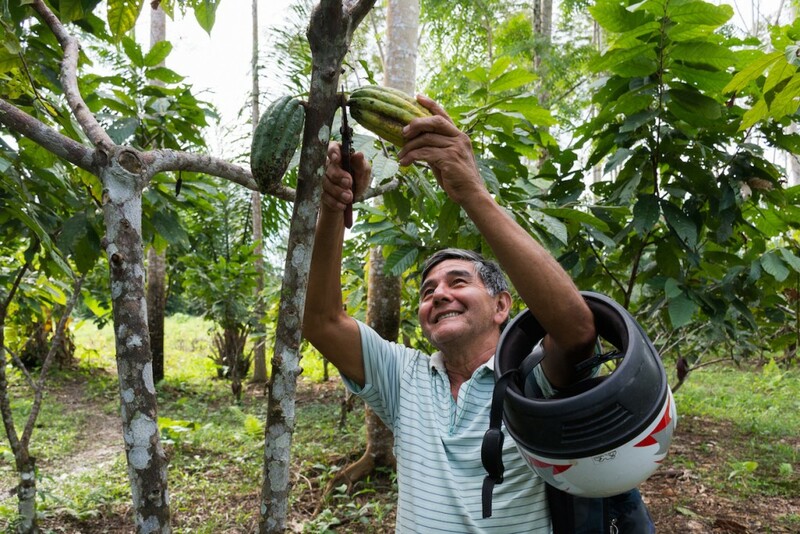 We were blown away by his humility and dedication to protecting and regrowing the Amazon. The center receives frequent visitors of all kinds from, eco-tourists to college to students to guests wanting a nature get-away. Visiting Palma Real, a small Amazon village of eighty Peruvian people was truly a genuinely heartening and humbling experience. 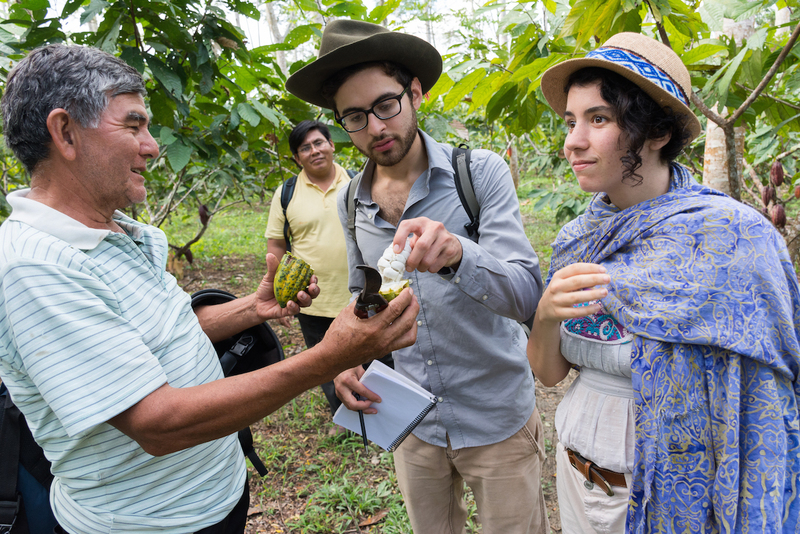 Twenty community members took us on an all day tour to visit and tour each of their organic farms along the Las Piedras river. They gifted us with Banana’s, papaya and spent quality time explaining their organic farming techniques to us. They own plots of land that are divided every 300 meters along the river and their central meeting place is the town of Lucerna where they have a general store, process food and most residents have constructed houses. Sachavacayoc is located on the Tambopata River two hours from Puerto Maldonado via boat and spans 73.41 hectares. 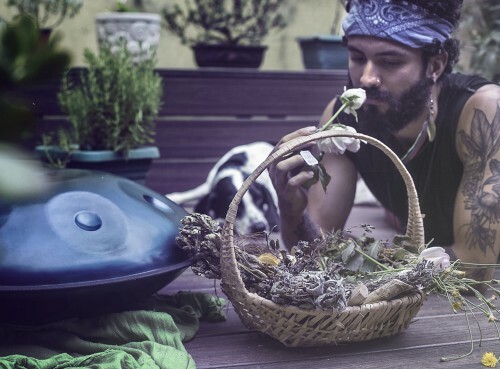 A very sweet couple, Javier Huinga and his wife Victoria Escalante own land that they are regenerating into a food forest and spend all day maintaining their agroforestry land. Ten percent of their land is dedicated to agroforestry and any free time they have is spent on building accommodations or making artisan crafts. 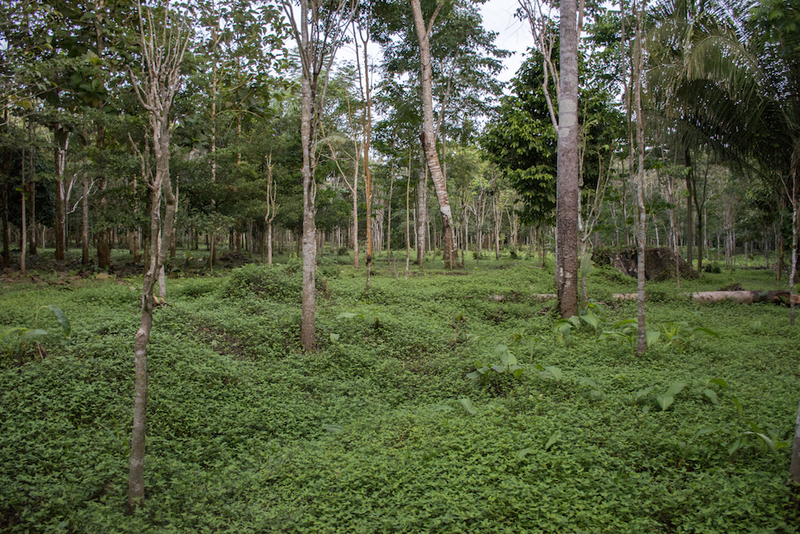 Their project started in 2010 and the agroforestry techniques are modeled after Camino Verde. Javier started three permanent and private conservation areas between 2012 and 2013 called Bosque Benjamîn I, II and III. 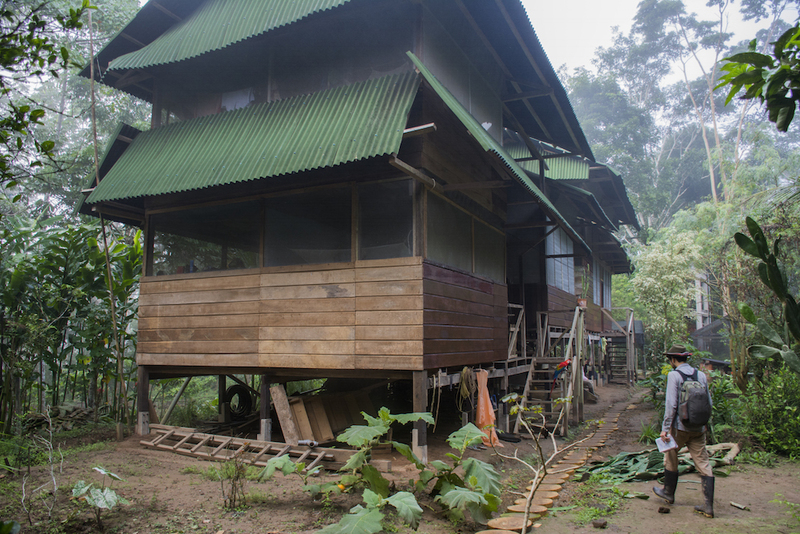 Sachavacayoc hosts volunteers who are open to camping and are expanding their tourism operations and want to learn permaculture of the Amazon. Caritas is a confederation of over 160 members who are working at the grassroots in almost every country of the world responding to crises. Owned and funded by the Catholic church, Caritas is headquartered out of Rome coordinating emergency operations, formulating development policy and advocating for a better world for everyone. All national Caritas organisations are members of their own regional Caritas networks and the international confederation. Caritas Peru is functioning in 48 regions within Peru including Puerto Maldonado. Caritas started working in Puerto Maldonado through a disaster relief project. 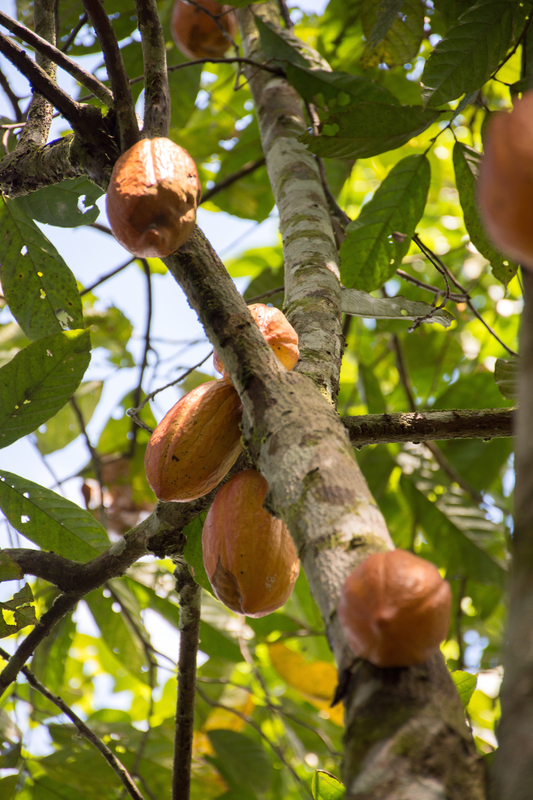 Then they taugh and empowered locals to start agroforestry projects and sell cocao and other fruits. Caritas wants the locals to get better prices by operating as a group to sell to larger markets. They work with families in areas that have a high likelihood of being deforested and foster an exchange of information between them. 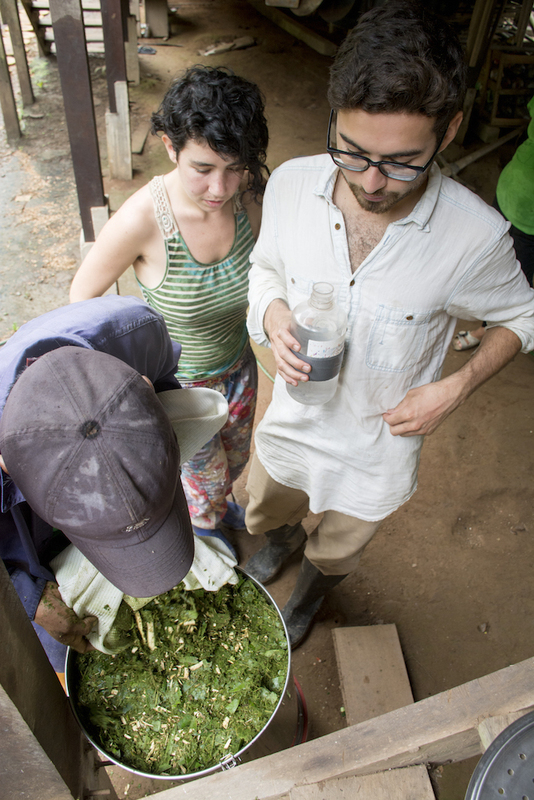 This experience opened our eyes to a world of tropical medicinal plants and techniques for regenerating rainforests while growing food and a deeper understanding of the immense destruction that’s occurring in the Amazon and the vital nature that it serves for the entire planet. Meeting all of the farmers was humbling to witness each of their passion and perseverance through the often harsh jungle climates. The wisdom each of them hold about the interconnections of nature and humans within that is timeless and has left a lasting impression on our lives.